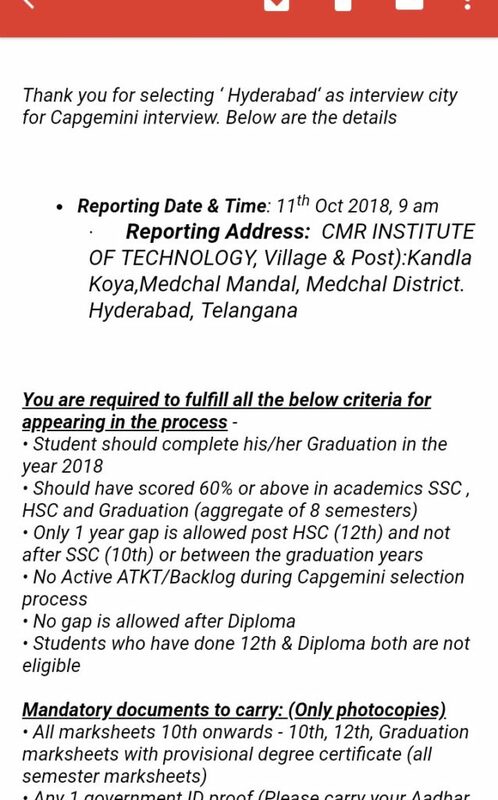 Capgemini Off Campus Drive for 2018 Batch hiring has started. Passouts from 2017 and 2016 batch are also eligible. Below you will find all information about CapGemini Off Campus Drive for 2018 Freshers. There are two different types of Off Campus drives available, we will cover both of them in the post below. We will cover in detail on how to apply for Capgemini Off Campus Drive for Freshers. 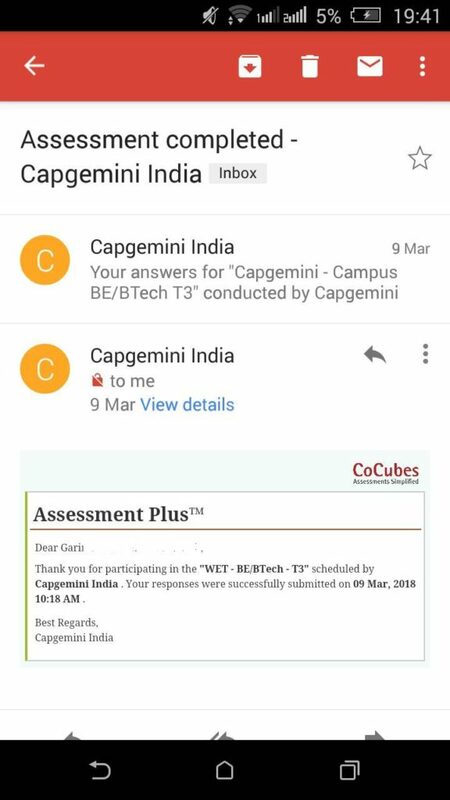 Capgemini completely changed their hiring process in March 2018. Instead of using their personal hiring tool, now they outsource the process to CoCubes. B.Tech/B.E./M.Tech/M.E. and MCA all branches are eligible. You will then receive details about your online Test paper and subsequently your Interview Process. Go to the section of Capgemini Careers. Apply for the position you are interested in. Now, enter all the required details and upload all the necessary documents. Make sure you double check your information and then finally click submit. Also you can apply here as well. Click here to apply for Capgemini. We at PrepInsta have an advantage over others that we are in touch with over 5000+ HR’s from different companies and their performance and salary bonuses are based on the number of people they are able to find to apply for position their company is hiring for. We help them achieve their Target by finding more and more students for positions. For this we have made a google form that we share with all HR and they automatically fill your details via API’s.